I almost forgot about this particular experience. It showcases the amazing ingenuity dogs have here in the Philippines. Whether they were trained to do this, I'm honestly not sure. There weren't any humans nearby to signal them except for the ones at the boat. They simply took turns to dive into the river and catch whatever scraps are being tossed at them -from meat to bread. Last June, we went to Bohol on a family vacation. 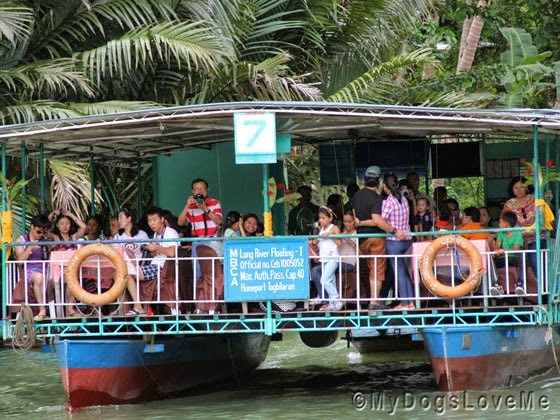 One of its main tourists attraction is having lunch at the Loboc River Cruise. Basically, you eat lunch while the boat is cruising around the river. 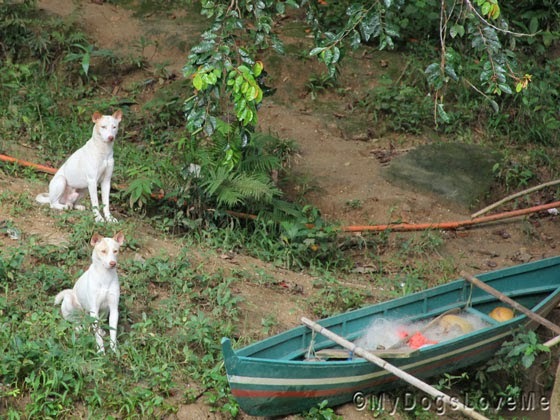 These two amazing dogs are waiting for their turns to take a swim at the river. They're really smart. They take turns swimming towards the boats. These two are staying put because there's already one dog who's diving into the water to obtain the scraps thrown at them. It's this dog's turn to get her own share of the daily feast. She dives in to catch the meat as it sinks faster. They are just like dock diving dogs! Clever puppies. We love they have found a way to live and forage in peace. Have a terrific Tuesday. Clever dogs indeed...They look pretty healthy so they've found a way to live and thrive...good for them! 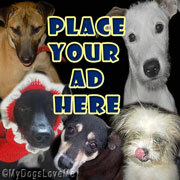 Wow, those are some industrious and clever dogs! Amazing how they take turns, too. What incredible dogs. And beautiful, too. 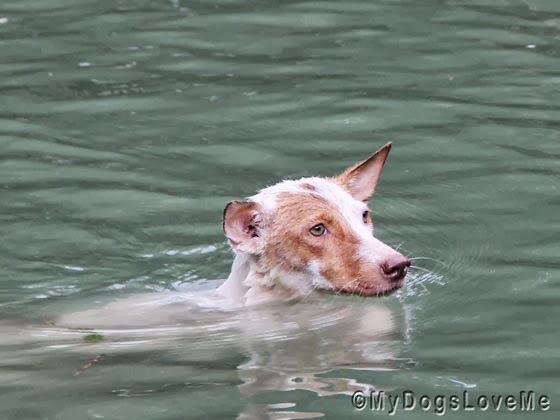 gee those doggys are so brave to swim in the river- very brave! Lovely pups and very talented. We love that they respect each other and wait their turn for an opportunity to dive for food. Us dogs sure are clever! The Power of the Accent: One of Many Reasons Why Outsourcing Is Strong in the Philippines in writing her pieces. So far, the most popular and, arguably, the best essay he has written is about the effectivity of "language immersion"
I copy pasted it into another application and read the post. Creative essay writers available online!